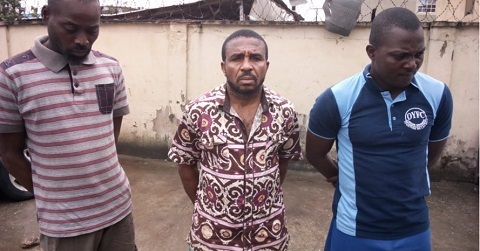 A dismissed soldier, Lance Corporal Peter Iwegbulam and two others are answering questions after being arrested by operatives of the Federal Special Anti-Robbery Squad (F-SARS) for alleged diversion of a tanker laden with 45,000 litres of diesel. The Nation reports that Ezekwe said he had specific instruction from the buyer to hijack a diesel tanker, adding that the client was to pay N130 for a litre. The ring leader said he planned to collect 50 percent of the loot and remit the rest to his other accomplices.